Quick, easy and delicious. 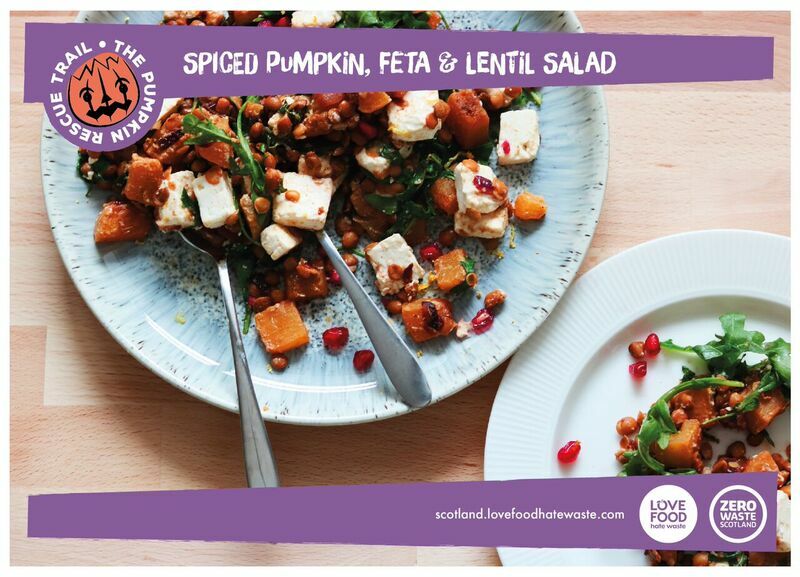 Why not try this Halloween-themed salad with a Greek twist from Paul at award-winning organic farm and veg delivery company East Coast Organics in East Lothian? Roughly dice the onion and fry in olive oil on a medium-low heat until translucent. Add pumpkin and spices. Mix well and cook for 5-6 mins, until pumpkin begins to get soft, but not mushy. Add leaves to pan and stir for 1 minute. Add lentils and the juice from the lemon and stir gently until heated through and well combined. When hot, add cubed Feta and grate in half of the lemon zest.